While the focus for Marching Forward is on our "Adopt a Candidate” now through November, I ask that we all keep in mind our local issues and causes. The indiscriminate rounding up of immigrants across the country and in our New Bedford area continues unabated every day - parents being torn from their children, children being purposely separated from their family, raids at houses of worship, places of work, on buses. ICE and detainers are out of control. New Bedford Whaling Museum’s Harbor View Room. This spirited event will include yummy hors d’oeuvres, cash bar and entertainment. 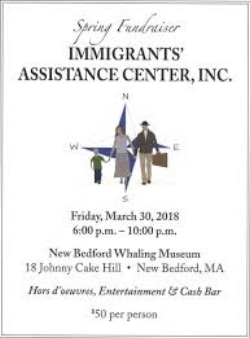 Immigrants' Assistance Center Spring Fundraiser or by calling the center at 508-996-8113. With thanks for your continued support of this worthy organization. 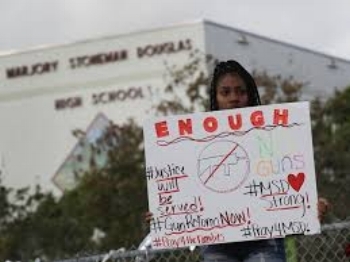 Our teenagers are speaking up and organizing. Their political involvement, born of horrific tragedy, is powerful. 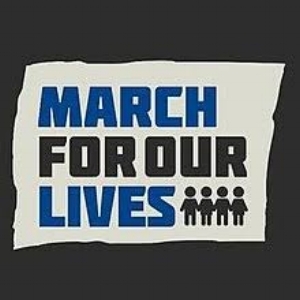 Let's support them by attending the March for Our Lives in D.C., or one of the many Sister Marches closer to home. Grab a friend or two, carpool, just go! Older PostAdopt a Candidate - Last Chance to Vote!